If you use Dropbox you would already know how convenient is it to transfer and store stuff between your smartphone and your computer. As the company today announced a new update which will automatically save the screenshots you will take on your computer. 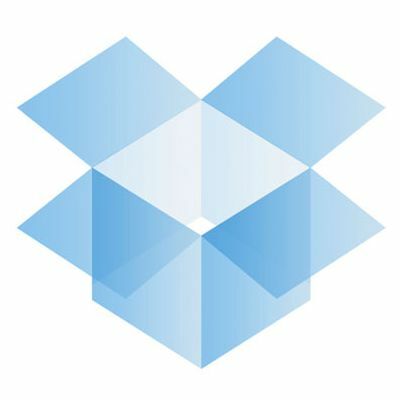 Dropbox has previously announced products that automatically upload images took on the phone, and uploaded from cameras on your computers. 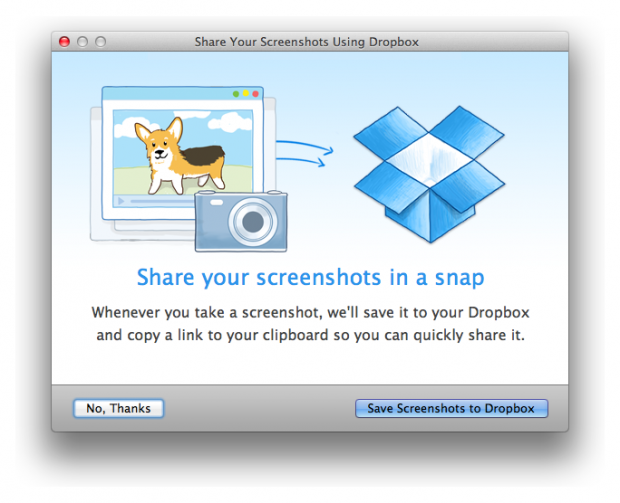 Now, one can take a snapshot which will not only be saved automatically but it will also create a link for that particular image and will copy it to the clipboard so that it can be shared on the spot. 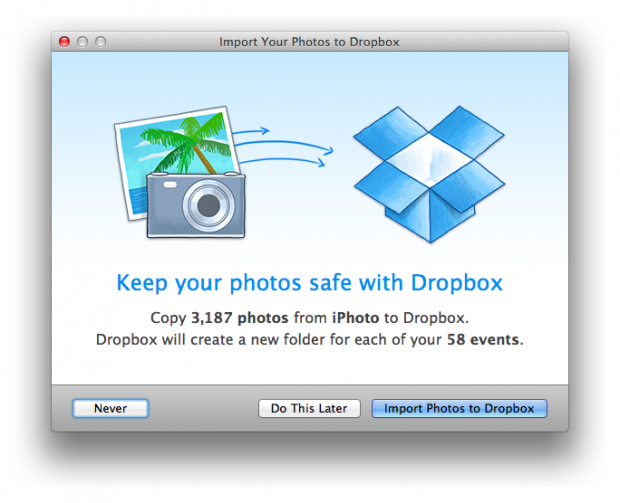 The company also announced an added bonus for the Mac users, the update also includes a importer that copies all the photos from iPhoto directly to the Dropbox.